Wheelabrator, the incinerator subsidiary of Waste Management has descended on Powell River , attempting to woo that council with plans for a mass burn incinerator at the site of a bankrupt mill. Residents there have mobilized and reached out to North American waste activists, including PCN. They are working hard to inform themselves and their community about the range of risks of burning garbage. In Meaford, after their former Chief Administrative Officer flogged the Partners’ Energy Group (PEG) incinerator proposal to Council, some councillors now appear to have recognized that incineration is risky. Some were ready to put forward a motion that would have effectively killed PEG’s proposal, which PEG is unwilling to present to the public until after Council would sign a Memorandum of Understanding with them. Incredibly and notwithstanding the overwhelming evidence that the emperor (Partners) has no clothes, a couple of councillors still appear willing to consider the Partners’ proposal while dismissing concerns raised by the community. 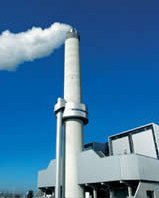 The recent musings of the Muskoka Mayor and their Public Works engineer demonstrate how the public relations messaging of the incinerator vendors is getting through to municipal staff, who meet up with vendors at various conferences across the continent and then become the secondary salesmen pitching the story to their municipal councils and community. Those not informed about the health effects of polluting burners and excessive costs –both capital and operating –are easy prey to the finely tuned and well financed communications strategies the vendors have developed to sway their targets. Many who don’t know the facts fall for the “energy from waste” myths. Mercifully, when concluding the latest review, Ontario’s Energy Minister Bentley saw fit to NOT allow incinerators to be eligible for the Feed in Tariff (FIT) subsidies. The industry and municipal lobby may have been disappointed this time but given how lucrative incineration is for the vendors, they will keep trying and the public must remain vigilant. In Durham Region, construction starts on the Durham-York incinerator. Durham Region’s Council Chair, to whom council had delegated authority to negotiate the project agreement with Covanta, appears not to have ensured that Covanta would be contractually bound to make good on their earlier promises of local jobs during the construction phase. Let’s hope other decision-makers and municipal staff, who may be tempted to believe the sales pitches and empty promises of local community benefits, closely monitor the Durham-York incinerator project. From the broken Durham Region staff and Council promises about protecting public health and ensuring enhanced monitoring, through to Covanta’s reneging on promises of local jobs, the Durham-York incinerator project should serve as a cautionary tale and remind everyone why waste incineration must be avoided. Linda Gasser is an incineration campaigner and has played a major role in PCN’s Ban Incineration Campaign.